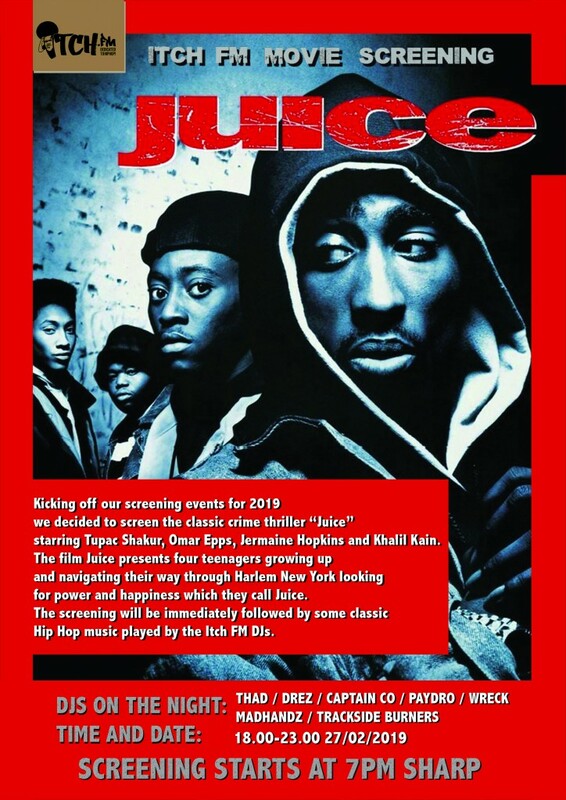 Kicking off our screening events for 2019 we decided to screen the classic crime thriller “Juice” starring Tupac Shakur, Omar Epps, Jermaine Hopkins and Khalil Kain. The film Juice presents four teenagers growing up and navigating their way through Harlem New York looking for power and happiness which they call Juice. The screening will be immediately followed by some classic Hip Hop music played by the Itch FM DJs.